Philadelphia's police union slammed the exclusion of widows and other family members of police officers killed in the line of duty from the list of speakers for the upcoming Democratic National Convention. The list of those addressing the convention includes several family members of black people who experienced violence or death at the hands of police in recent years, such as the mothers of Michael Brown and Eric Garner. 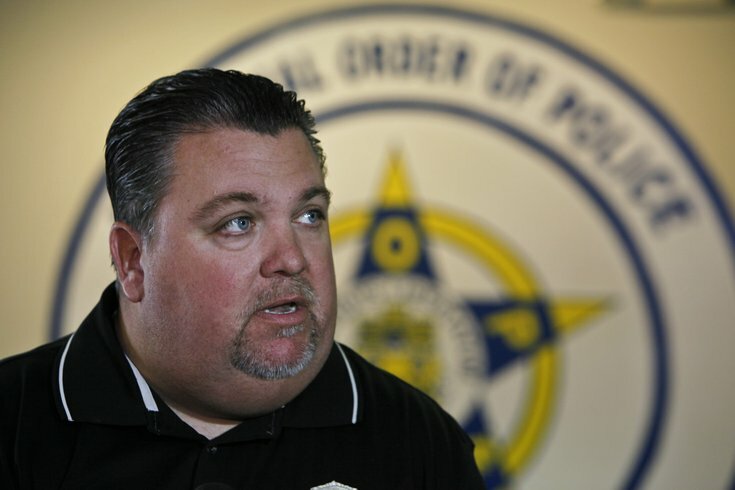 "The Fraternal Order of Police is insulted and will not soon forget that the Democratic Party and Hillary Clinton are excluding the widows, and other family members of Police Officers killed in the line of duty who were victims of explicit, and not implied racism, and 'being on duty in blue,'" FOP President John McNesby said in a Wednesday press release. "It is sad that to win an election Mrs. Clinton must pander to the interests of people who do not know all the facts, while the men and women they seek to destroy are outside protecting the political institutions of this country." He added that Clinton should be ashamed of herself "if that is possible." FOP Vice President Roosevelt Poplar clarified Thursday that the union would have been fine with all voices being heard, including those victimized by police brutality and police officers who "were victimized by criminals" and who "paid the ultimate sacrifice." "They need to hear the impact of all and everyone that's been victimized by crime," Poplar said. Tensions in America over police and community relations have risen after several recent incidents brought the issue into the national limelight. Two black men, Alton Sterling and Philando Castile, were shot and killed by police this summer in Louisiana and Minnesota, respectively, under circumstances that are still under investigation. Earlier in July, five Dallas police officers were shot and killed by a gunman who appeared to be targeting law enforcement. Last week, three officers in Baton Rouge were fatally shot. In response to the FOP's condemnation, the Clinton campaign highlighted the fact that two law enforcement officials will be speaking at the convention. It was recently announced that NYPD Detective Joe Sweeney, who rushed into the World Trade Center on 9/11 to help survivors, and Charles Ramsey, the recently retired Philadelphia police commissioner, would be making remarks at the event. "As Hillary Clinton has said, we need to support heroic police officers who put their lives on the line every day as well as listen to the voices of mothers who have lost their children," Stephanie Formas, communications director for Clinton's Pennsylvania campaign, said in a statement. "We look forward to highlighting the courageous efforts of law enforcement with speakers at our convention, including from Pennsylvania, and praising their work to keep our communities safe."